Asbestos is a natural mineral fiber that has been used in many buildings for thousands of years. However, you may have heard that asbestos is a known carcinogen. In the 1970s, scientists conclusively determined that asbestos is harmful to human health. As a result, government regulations now carefully control the use of asbestos to prevent exposure. Limiting your exposure to asbestos is really important because it has been linked to certain debilitating diseases like mesothelioma, lung cancer, and asbestosis. Protect the health of your loved ones and yourself by scheduling an asbestos evaluation of your property with Laguna Nigel’s premiere provider of asbestos services, H2 Environmental Consulting Services. Call (800) 524-3578 or email CustomerService@H2Env.com to schedule at your earliest convenience. Keep your loved ones safe from asbestos exposure by scheduling a thorough environmental evaluation of your home with H2 Environmental Consulting Services. Using highly specialized, state-of-the-art technology, we’ll analyze every molecule of your home to check for asbestos and other common contaminants such as mold, fungus, and lead. Rest assured that if your home contains any contaminants, we will find them. 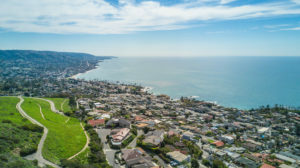 If you own or manage a residential property in Laguna Nigel, such as a condominium complex, contact H2 Environmental Consulting Services for complete asbestos services, including environmental evaluations. Protect all tenants and visitors by making sure your property is healthy and free for all inhabitants. We can handle any size job you send our way – we’ll be happy to test single condos or complexes with hundreds of units. Call H2 Environmental Consulting Services at (800) 524-3578 or email CustomerService@H2Env.com to schedule your environmental evaluation today. We spend lots of time at work, too, so it’s essential that you make sure your commercial property is contaminant-free as well. Eliminating all environmental hazards in commercial spaces is very important, so we recommend you schedule an evaluation of your commercial property in Laguna Nigel, CA, at your earliest convenience. We’ll test every molecule of your property and then share our findings with you. Upon completion of your residential or commercial property’s environmental evaluation, we’ll share our findings with you. If we have discovered asbestos or any other contaminant in your building, you can trust us to handle full remediation experts as well. In accord with all federal, state, and local laws, we’ll prepare your property for removal of hazardous materials, carefully remove them, and then dispose of them safely to ensure no one is exposed to asbestos or any other contaminant. Then we will conduct final testing to make sure every single asbestos fiber and other contaminated materials have been effectively removed from your property in Laguna Nigel. For all your asbestos evaluation, remediation, disposal, and final testing needs – in essence, for all your asbestos services in Laguna Nigel, CA, contact the experts at H2 Environmental Consulting Services. Call (800) 524-3578 or email CustomerService@H2Env.com to schedule a full evaluation of your residential or commercial property today.